This my first review on here for quite a while so excuse me if I’m a bit rusty on this whole being professional and making sense thing. I had no intention of reviewing this when I bought it and started using it so please be aware I have no box or packaging pictures since that’s already stuffed in the closet. And no, I’m not going to take any pictures of the Chromebook either – you can find pictures way better than any I could take with my smartphone all over Google Images (or Bing Images, if you want to be ironic and not use Google’s search engine to research their own product). For the lazy people, click here. 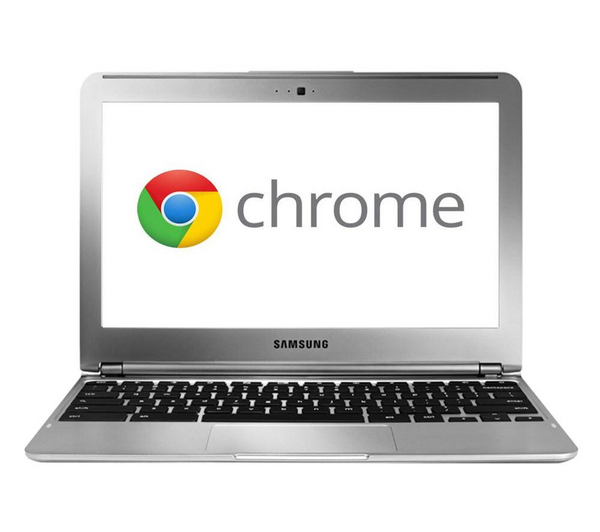 The product being today is a Samsung Chromebook purchased from Best Buy. I’m writing this review because almost every other review of this (or any Chromebook really) were focused on how limited of a device/laptop/whatever this is. Want some examples? That said, it does not excel in any particular area, and even a budget Windows laptop offers more flexibility and the ability to run more software. Even if you only need a particular app once in a great while, unless there’s an online version that works in the Chrome browser, you’re out of luck. We say almost because no matter what, Chromebook’s will always be limited compared to a PC or even a tablet. While the much lower price of the new Chromebook makes it pretty attractive, tablets and even convertible PC’s have been moving in price, too. When a quad-core tablet or a full-blown Windows 8 tablet can be had for $200–$500, the Chromebook is still only suited for those who can work around its limitation of requiring the Internet for full productivity. MacBook Air styling is more of a head-scratcher than a head-turner. Display is low-res and materials are far from top-notch. No keyboard backlight. No Bluetooth device support other than mice and keyboards. All of those reviews, even the ones that do have mostly good things to say about this iteration of the Chromebook, are missing the point entirely. Reviewers need to stop looking at this like a replacement for a Windows (or even Mac, ugh) laptop or desktop. They’re not targetting avid gamers, video producers, or web developers (more on that later). They are targeting the grandparents, the children and students, the people who just check their email, go on Facebook, maybe watch a couple of the latest funny stupid stuff on YouTube, or comment on Yahoo! news articles.